Villa initially created the original recipe for Blue Moon Belgian White in 1995. At the time, Belgian white, or witbier, was still something of a novelty in the American “microbrew” or “better beer” scene, a style that drinkers may have been familiar with if they’d ever consumed the classic Celis White or Hoegaarden. These beers presumably inspired Villa, who earned a PhD in brewing from the University of Brussels in Belgium. Compared to those forerunners, though, the product created by Villa was notably sweeter, with more emphasis on the orange citrus flavors and aromatics, which quickly found it a niche in the American beer market. 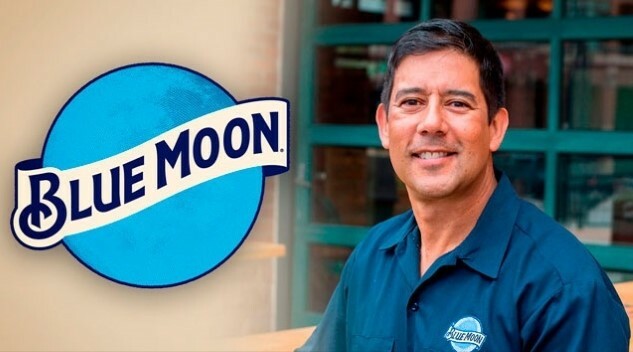 I must admit some personal nostalgia here as well—Blue Moon was one of the first beers I ever voluntarily consumed in the mid-2000s, and it was a gateway beer for many other craft beer geeks in the same way, despite its MillerCoors ownership. Today, the brand ranks as the #1 “craft” brand in grocery and convenience stores according to research firm IRI Worldwide, with more than $258 million in sales, up 7.3 percent in 2017. “On behalf of everyone at MillerCoors and millions of beer drinkers, we thank Keith not only for his creativity, vision and contributions to Blue Moon Brewing Company, but for helping open the hearts and minds of beer drinkers across the world,” Hattersley and Kroll added. The beer has been a key focus point of the “craft vs. crafty” debate over the years, as some drinkers have alleged that MillerCoors was intentionally deceptive about the beer’s point of origin by labeling bottles with “Blue Moon Brewing Co.” These complaints were highlighted by a 2016 attempted lawsuit by one California man against the company, but the suit was dismissed by a judge after MillerCoors successfully argued that “no reasonable consumer could have been misled by MillerCoors’ use of “craft beer,”” due to the fact that the Brewers Association definition is not universally acknowledged. This goes hand in hand with our large feature on the same subject from yesterday, on how words such as “craft” have become increasingly vague and difficult to quantify in terms of value.